The Association of Christian Community Churches in Victoria and Tasmania (CCCVaT) is a movement of like-minded local churches, predominantly of a Christian Brethren heritage, that have united under a common vision and mission, set of beliefs and core values. The movement is driven by the Great Commission of Jesus Christ (Matthew 28:18-20), and is committed to take the Gospel of Jesus Christ to all people and to provide a ministry of discipleship for each new believer, that they will become all that God has designed them to be. CCCVaT’s core objective is to aid and assist local churches to more effectively reach and serve church and un-churched communities, develop ministry capacity and make disciples of Jesus. Through networking, leveraging of resources and fostering a greater sense of belonging, the movement continues to grow into a mutually supportive Kingdom-advancing network of churches that has ever increasing capacity to impact all in our circle of influence with the Good News of Jesus. To advance the Gospel of our Lord Jesus Christ. To aid and assist churches grow the Kingdom of God. Church Activation, Renewal and Equipping. Leadership equipping training and networking. Nominating authority for marriage celebrants. Policy and guidelines development and maintenance. Employer of School Chaplains under the NSCP and CCTI programs. MEMBERSHIP of the association is open to all Christian Brethren Churches and other Christian Churches as approved by the board and members, that are located in Victoria and Tasmania and agree to the association's 'Distinctives', 'Statement of Faith' and 'Doctrinal Statement'. These statements can be viewed in the guidelines and policy section in this website, along with the application to join the association. 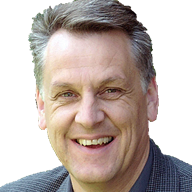 David provides leadership to the movement, developing resources and initiatives that equip and enable local church leaders and communities to advance the Kingdom of God, grow the Church, reach and serve the unchurched and plant new churches. David also devotes time to mentoring and coaching global ministry leaders and assisting mission organisations to navigate change and renewal. Prior to his current role, David served as the International President of Youth for Christ (YFC) and for ten years resided with his wife Jenny in Denver, Colorado. YFC is a global movement that targets unreached and unchurched teenagers. During the time David led YFC, it expanded its reach into 140 nations, connected with over 50 million teenagers, developed a prayer movement involving 235,000 prayer intercessors and grew its staff to 35,000. David is the author of two books: The Next Wave, which describes how the world can be reached through empowering young people; and Kingdom Come, which explores what happens—or what should happen—when God’s Kingdom comes in a person’s life, in the Church and in the world. David and Jenny have three children, four grandchildren and are members of Warrandyte Community Church. 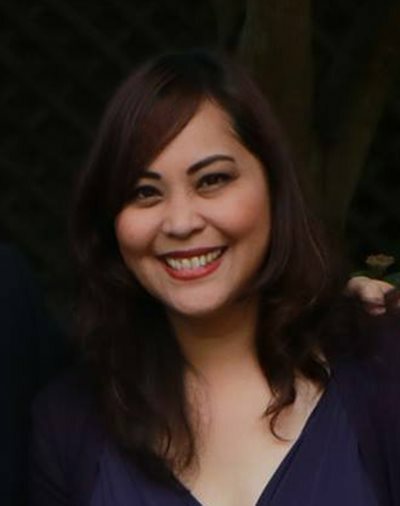 Jenny is a qualified and experienced Early Childhood Education teacher with training and understanding in the area of child development and early year’s education. She has experience in developing curriculum, directing educational programs, overseeing staff and working with families from a range of cultures and backgrounds. Jenny has also had experience working in children and family ministry in churches, managing Playgroups, directing children’s musicals and ‘Kids Club’ programs. Jenny and her husband David have spent most of their married life in ministry together. They have worked in an Aboriginal community, pastored a local church and spent 25 years in the ministry of Youth for Christ, culminating in 10 years in the USA where David served as International President and Jenny managed relationships with staff and supporters around the world with a particular focus on encouraging and supporting wives and women in leadership roles in the ministry. In her role with CCCVaT –Children and Family Ministries Coordinator – Jenny is keen to work alongside local churches to discover the type of ministry that will best suit their local community, their church resources and people and the needs of children and families in the area. She has access to a range of ideas and resources that can be sourced to connect with families and present the church as a place of caring and support where people are welcome and have the opportunity to meet Jesus. 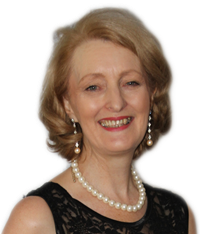 With CCCVaT – School Support Services, Jenny provides support and structure for the School Chaplains for whom CCCVaT is the registered funding provider. This includes liaison between the school/chaplain/CCCVaT/local churches; arranging training and input for the Chaplains; providing support, advice and a listening ear and promoting the importance of Chaplaincy in schools and local communities. 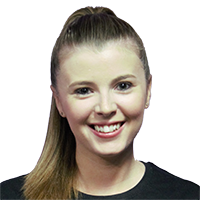 Lauren Stebbins is the Coordinator of Eleven88 Dance Ministry and at Upstaged Dance and Performance Studio as a Dance Teacher. Lauren has a heart for dance and seeing young people reach their potential. This passion led Lauren to develop Eleven88 Dance. Lauren holds a Certificate IV in Business Management and is currently completing a Bachelor of Ministry to further equip her for Ministry. Through Eleven88, Lauren and the team provide schools, churches and the wider community with the opportunity to engage in Dance Programs, Workshops with topics such as Body Image, Discipleship Groups, Mission Trips, and Dance Camps. These initiatives provide young people an opportunity to explore and develop their self-worth through dance in the context of a safe and supportive environment. 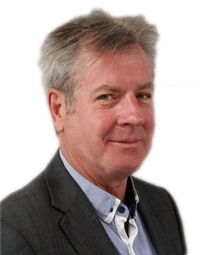 David undertakes the finance, accounting and general administration tasks on behalf of the Trust, and provides some finance and accounting support for CCCVaT and CCCVaT SSS. 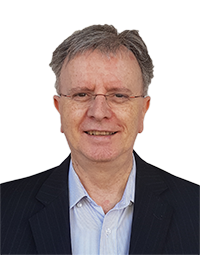 David commenced with the Trust in 2014 following 33 years of commercial and not for profit industry experience where he undertook various accounting, administration and management roles, and holds tertiary qualifications in Economics and Accounting. 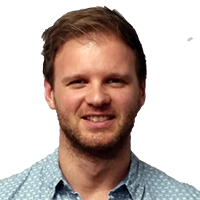 David came to faith in his late 30s and is an active member of Montmorency Community Church. Nancy Moyle is a trained Pre-school teacher and Church ministry worker. Nancy has been successful in home based business where she developed leadership, coaching, public speaking and networking skills. Nancy has had many years of ministry experience serving across denominations in both missional and resourcing roles. Throughout 2014 Nancy facilitated prayer opportunities for the Children’s Ministry Network whilst developing a passion for Worship and Prayer through a greater understanding of worship during her Masters study. Nancy completed the Master of Arts in Church Practice at Tabor, graduating with distinctions in 2015. Nancy’s major research paper was on missional connections of midweek programs such as playgroup with the Worshipping Community. Nancy had become passionate about this area of mission after having originally been Crossway’s Playgroup co-ordinator as well as working as a Children and Families worker in Anglican and Salvation Army communities, and developing both playgroups, mainly music groups and prayer retreat days in these contexts. It was when Nancy interviewed David Wraight regarding the area of Kingdom building through missional outreach, that David identified Nancy’s passion for prayer and mission. Towards the end of 2014 Nancy’s work with the Victorian Council of Christian Education, ended and Nancy was offered the roles of Prayer Co-ordinator and Church Plant Resource Officer here at CCCVAT. By the middle of the year as Jenny Wraight’s oversight of Chaplains work increased, Nancy was invited to increase her hours to assist Jenny Wraight in the area of Children and Families Ministry resourcing and support. 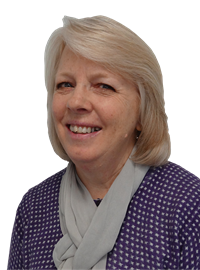 Nancy’s role at CCCVaT is largely about building relationships to be supportive in prayer, to inspire, encourage and motivate others to pray, as well as providing resources and support to enable each church’s prayer co-ordinator to feel supported and empowered to facilitate prayer in each church. Similarly in regards to church planters and Children and families ministry, Nancy is available to meet with Pastors to encourage and support and participate in ministry alongside of our planters. Nancy looks forward to serving our churches through the use of her creative gifts of poetry writing, drama and storytelling, preaching or just by having a good coffee and a chat together. Married to Tim, for thirty seven years, they have six children some of whom were home-schooled for several years. Paul is responsible for budgets, church aid and grants, compliance, marketing, meetings, polices and guidelines, systems and various other tasks as part of CCCVaT’s mandate to aid and assist its churches grow the Kingdom of God. His past experience includes various general, marketing and merchandise management roles in fast paced automotive and recreational vehicle industries, loyalty programs, retail franchising and the chemical industry. The experience gained in these roles has equipped him to provide the expertise needed to serve and develop these ministries for CCCVaT. Paul is married with four children. Pynqi will be assisting the General Manager in a variety of duties to serve our churches more effectively. She has a wealth of experience, especially in graphic design having worked in a studio in New York and with be conversant with a number of applications of CCCVaT shortly. Andy has been a Christian for most of his life and is currently serving at Ringwood Community Church. He is a gifted singer and guitarist and has a passion to develop and deploy the youth and young leaders of our churches in the Kingdom. He is married to Rachel and together they have three children.